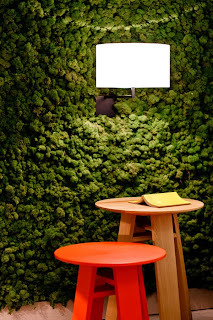 The penal is moss-covered and fuses a pleasing natural appearance with functionality. 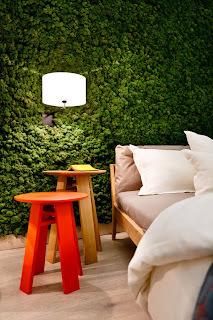 Without soil and irrigation, „Evergreen“ is a real-moss wall, which provides itself with water and nutrition from the environment. 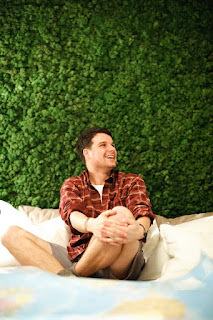 Sustainability is in trend and the color of green popular. Designers, architects, and planers use strong green for highlights in their projects. The 5-6 cm thick moss is attached to a black stained MDF board with the size of 1000 x 600 x 10 mm. Due to its shape, it provides a good acoustic insulation. There are no limits to creativity. Whether for the ceiling, paintings, wardrobe-or wall cladding, for decoration or representation of your products.